Take a daring ride through the canopy. Venture to Manuel Antonio National Park, where MidWorld’s zip line tour awaits. There discover fun rappels and exciting jumps. Ten cables lead every rider through the jungle, letting them get a bird’s-eye view of the Central Pacific’s most stunning scenery. Platforms spaced along the trek provide excellent photography opportunities, and innovative pulley-lines ensure high speed thrills. MidWorld’s zip line tour is located approximately two hours from the Los Suenos marina. Be certain to secure proper transportation when leaving the resort. Guests of all experience levels can participate in MidWorld’s zip line tour. Children under the age of 4, however, are not permitted on the course. Book a MidWorld zip line tour today! Experience the Central Pacific’s longest cable line. Journey to MidWorld Adventure Park in Manuel Antonio. There discover the Superman Line, an intricate series of cables and platforms that allows guests to achieve fast speeds and exceptional views. Fly one kilometer over a national park, racing fellow zip-liners through the canopy. This is a can’t-miss tour for the whole family. MidWorld is located approximately two hours from the Los Suenos resort. Charter transportation to reach the park, and consider booking a spot in advance to avoid the crowds. This is a popular tour and guests will have to wait to ride the Superman Line without a reservation. Guests of all experience levels can ride the Superman zip line. Children under the age of 9, however, are not allowed to participate. Those with back or neck injuries should reconsider. Book a Superman Zip Line tour today! Discover a national treasure. Manuel Antonio is Costa Rica’s premier park, offering exotic animals, lush landscapes and endless adventures. Guests escape to a world untouched, seeking out rain-forests, beaches, coral reefs, waterfalls and more. This all-day tour provides exceptional thrills. A Manuel Antonio tour can be tailored to every guest’s needs. Travel from Los Suenos by SUV to arrive at the park and then select from a wide range of activities. Zip lines, ATV rides, charters and more are available. All have varying age and physical requirements. Guests of all ages can enter the park. Those with physical limitations - such as neck injuries, back injuries or pregnancy - should note that extensive walking is required and tour conditions will vary due to weather. Book a Manuel Antonio tour today! Gain a new point of view at MidWorld Adventure Park. Take on the High Ropes Puzzle Course. This attraction features bridges, rappel lines, nets and more. It allows guests to climb through the canopy, taking in spectacular views while trying to solve challenging riddles. This creates a unique experience, with teams racing against each other in a game of wit and skill. Travel from Los Suenos to reach the MidWorld High Ropes Puzzle Course. Transportation is available and allows guests to arrive at the park on time. Note that this tour is physically demanding and will require extensive climbing. Those with young children should consider other options, like charters or ATV treks. Experienced or inexperienced climbers can participate in MidWorld’s High Ropes Course. Children under the age of 8 are not permitted on the course, however, and those with medical conditions - such as neck injuries, back injuries or pregnancy - should reconsider. Book a MidWorld tour today! 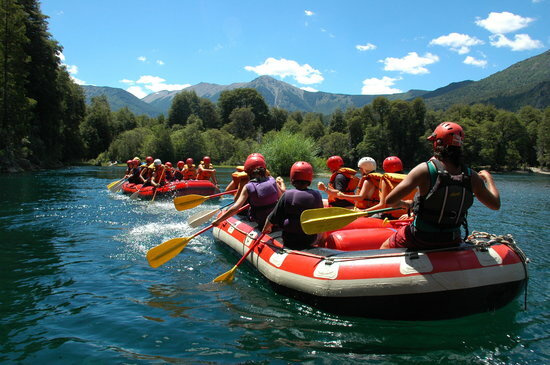 Experience spectacular scenery and gentle thrills on the Savegre River. This tour winds riders through the Central Pacific, beginning at the tiny town of Silencio before arriving finally at Manuel Antonio National Park. Class II and III rapids are easily navigated, providing a slow and steady excursion. Expect ample photography opportunities and leisurely swells. The Savegre River tour is exceedingly popular with Los Suenos guests, especially families. Advanced booking is recommended for this charter. Riders of all experience levels can raft down the Savegre River. Children under 8, however, are not allowed to participate. Those prone to motion sickness should prepare accordingly. Book a Savegre River tour today!